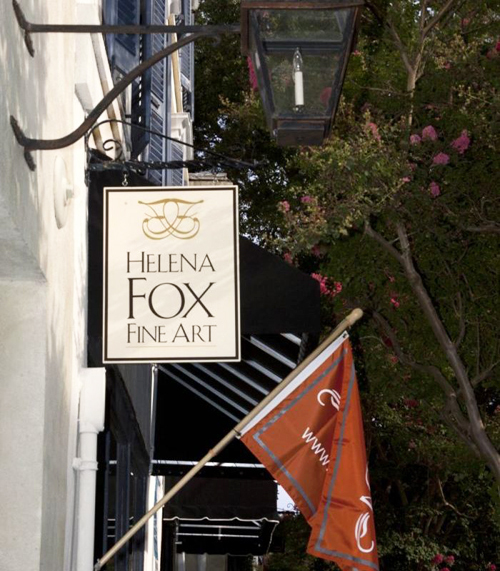 CHARLESTON, SC, March 1, 2019 – – Helena Fox Fine Art, LLC is pleased to welcome Kaminer Haislip, Silversmith to the gallery. We are thrilled to announce that silversmith Kaminer Haislip will be joining our gallery in March. Join us on Friday March 1, 2019 to welcome Silversmith Kaminer Haislip to the gallery—artist reception from 5-8pm during the Charleston Gallery Association spring artwalk. Ms. Haislip’s work expands our idea of what can be done with sterling silver. Using basically the same techniques as colonial silversmiths Kaminer creates sleek and sculptural objects for the home as well as sophisticated jewelry. Many of her pieces have hidden meanings—such as the ‘nest bowl.’ In the object you see the layering of larger and smaller sterling wires that intertwine to create a bowl shape, much like you might see in a birds nest. Many of her designs are modern interpretations of the world around us, such as her ‘Oyster’ series of jewelry which echoes the familiar shape of an oyster shell in sterling wire. ‘I like silversmithing,” Kaminer explains, “because it is midway between sculpture and jewelry.” Laughing she adds, “although my parents wanted me to make jewelry since it was more practical as a career.” After earning her MFA in silversmithing from Winthrop University in 2005, Southern tastemakers began seeking her out for her striking pieces. Among them Southern sweetheart and founder of lifestyle brand Draper James, Reese Witherspoon. She found Ms. Haislip through the Garden and Gun Made in the South awards where Ms. Haislip was a runner up in the overall home wares division in 2012. Join us on March 1st and give our newest artist a warm welcome. Jewelry and home objects will be on display with a larger selection available through Saturday March 2nd.